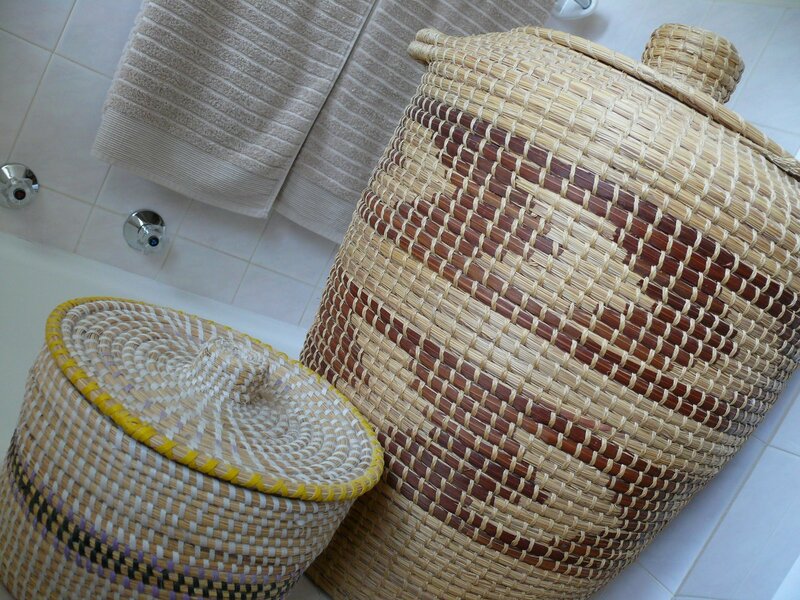 … is an art that the African rural women have a real talent for .. as well as their beading. Firefly mentioned their beadwork a little while ago so I thought I would focus on their baskets. They not only have ‘elaborate’ stalls like this one, but they also sit under trees on the grass verges, twisting and weaving their grasses while displaying their goods to passer’s-by. 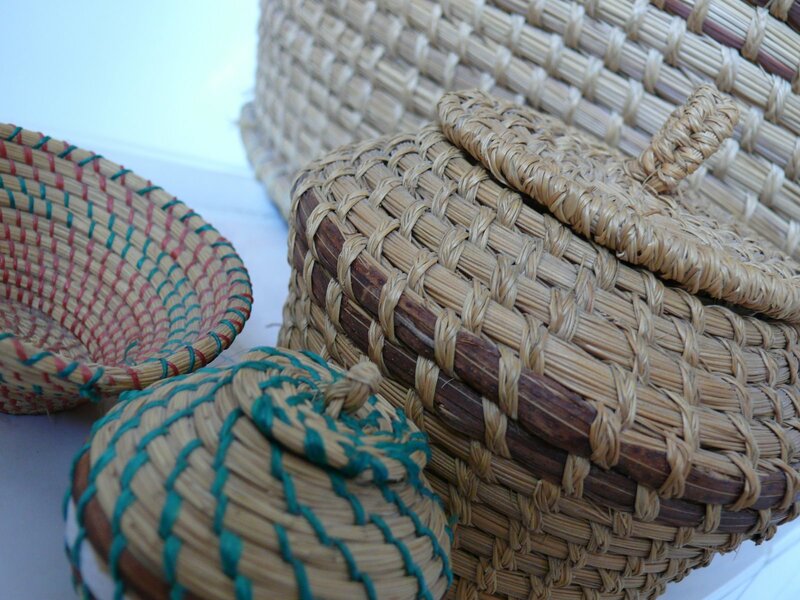 The baskets are of excellent quality and it’s well worth stopping to browse and …. purchase some … you won’t be able to resist!! 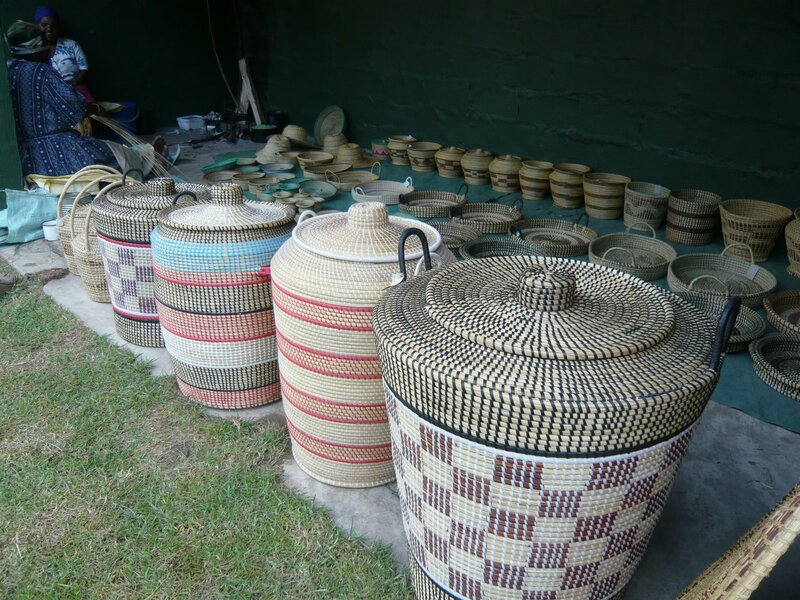 When we first started going to the Drakensberg area, all their basket ware was made in natural grasses and shades but over the years they have added colours …. the colours seem to be nylon which is a pity to add an unnatural fibre but that’s what they do … I suppose to make them eye-catching. 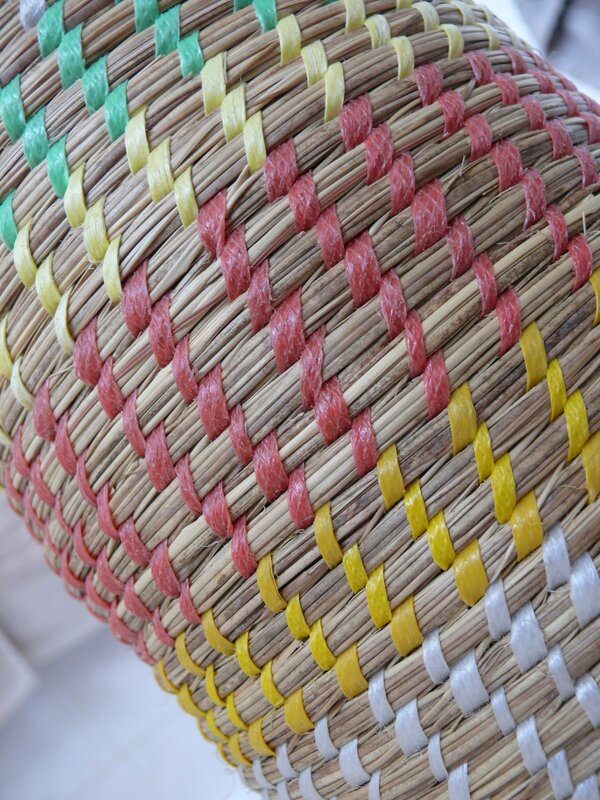 Another ‘teeny tiny’ basket …. They are lovely! I have a few at home to. I forget to use them though! Love the angles in the last shot.I don’t think I have any at home anymore. Jeanette is hinting for a basket for her birthday.When you have roadside crafters like that you will always find some tourists or holiday makers checking out and buying the wares. Its always a nice keepsake or gift. Like for Jeanette for example.